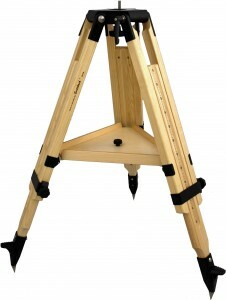 Our well-proven UNI tripods for astronomers are excellent working tools and great value for money. 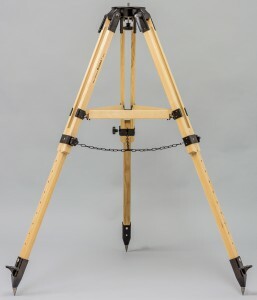 With the included attachable tray (37 cm) an angle of inclination of approximately 23° can be achieved. Furthermore you can use a steel chain (also included in the delivery). 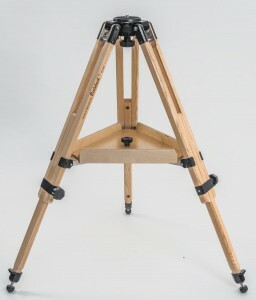 Our well-proven UNI tripods for astronomers are excellent working tools and great value for money. 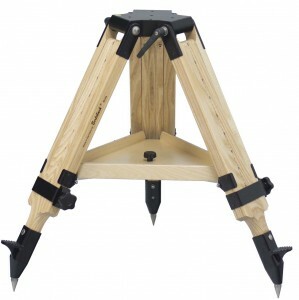 With the included attachable tray (27 cm) an angle of inclination of approximately 32° can be achieved. 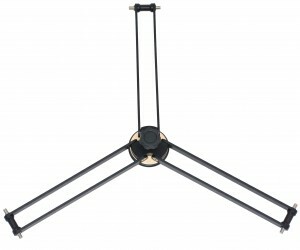 Furthermore you can use a steel chain (also included in the delivery). 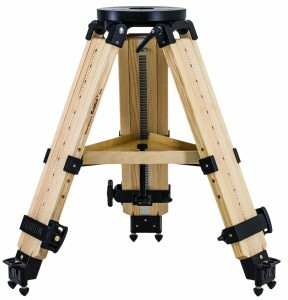 Our new leg head for astronomy allows easy height adjustment of loads up to 60 kg. 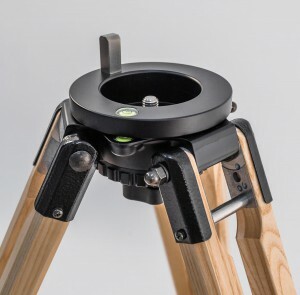 The geared centre column (Ø70 mm/ 27.5”)makes it easy and safe to adjust the height (35 cm/ 12”) of mounts or large binoculars. 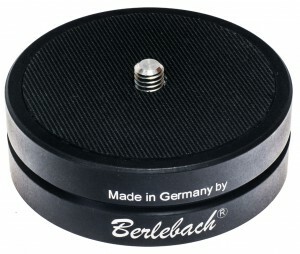 - Adapter with photo thread 1/4" or 3/8" for the Models astro-triopds. 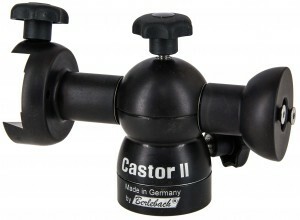 With this adapter you can use you astrotrpod for photo. - Attention, legs are only able to lock at 23°. 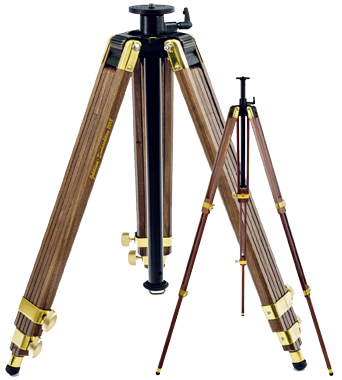 Magnesium mounting head which is suitable for the mountig GP or Advanced Polaris by Vixen or with adapter for other mountings, such as Porta or as photo tripod with adapter # 11178. 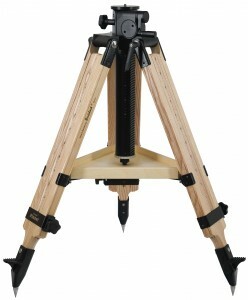 The tripod has included a tray 37 cm and a spread stopper # 51008. 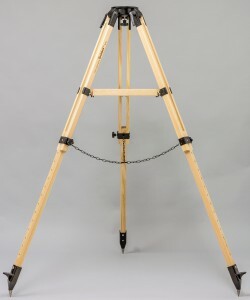 This tripod is a world first from the company with the world's longest tradition of tripod manufactoring. 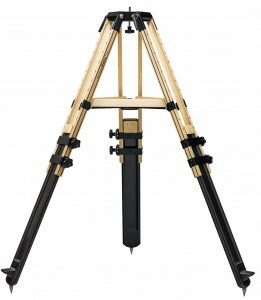 It has been specially designed with the highly demanding and ambitious astronomer in mind. 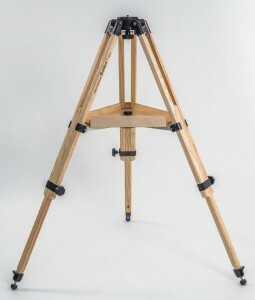 The tripod Planet small is the short version of our tripod Planet. - incl. 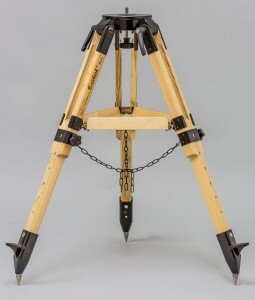 one Dovetail Clamp.